I came to Greece to see refugees. Instead I met the people who will disciple Europe. Click below to listen to the audio version of this story. This is not a story about refugees. This is a story about what you see when you look again. I came to Greece to report on the refugee crisis, four years in. Today the crisis has shifted and settled; many have stopped considering it a crisis at all, or have simply forgotten it as media coverage fades. Families and individuals from the Middle East and Africa no longer wash up on Europe’s shores in the masses of previous years. In 2015 alone, over one million migrants and asylum seekers arrived in Europe, representing the greatest influx of refugees since World War II. By comparison, 2018 counted 134,000 arrivals. Newspapers no longer publish images of volcanic piles of life vests or toddlers face down on beaches. The crisis has transmogrified. Now, over a million asylum seekers and migrants who fled violence, persecution, and economic hardship at home face the ongoing challenge of assimilation. Some are stalled in camps, some have settled into cities and towns, some are homeless on the streets, but all of them are learning how to live as strangers in a foreign land. Though they have left horrors behind they face new threats, from exploitation to prejudice to poverty to loneliness. For its part, Europe has strained under the responsibility of integrating so many arrivals. Heavy border restrictions in much of the EU means the burden of accepting migrants has fallen on Mediterranean countries like Italy and Greece. 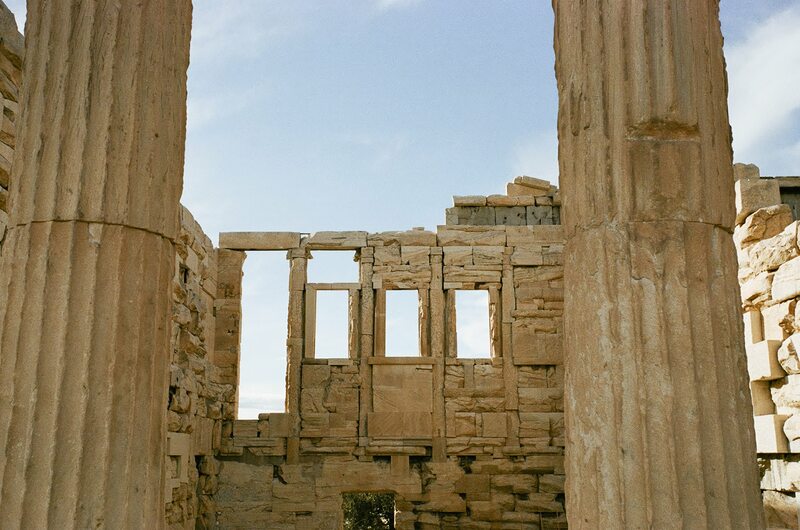 Greece: the entry point into Europe. The first stop on the trafficking highway from Turkey. The land that people floating in lifeboats scan the horizon for. The country currently houses over 50,000 refugees who can’t legally move elsewhere in Europe, creating what the International Rescue Committee calls a “holding pen.” And at the center of Greece, Athens—that beautiful, crumbling city. 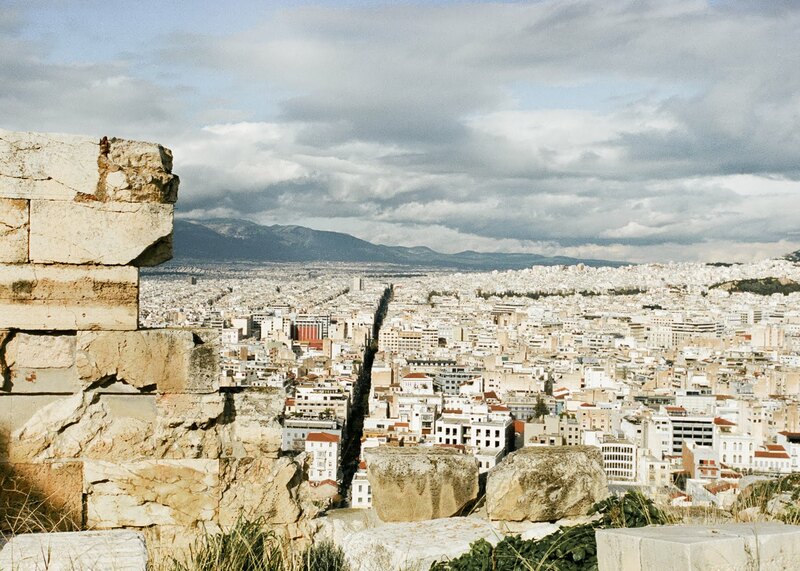 On my first day in Athens, I climbed to the Acropolis with Easton, a photographer. On our way up the hill we stopped at a rocky outcrop overlooking the city. 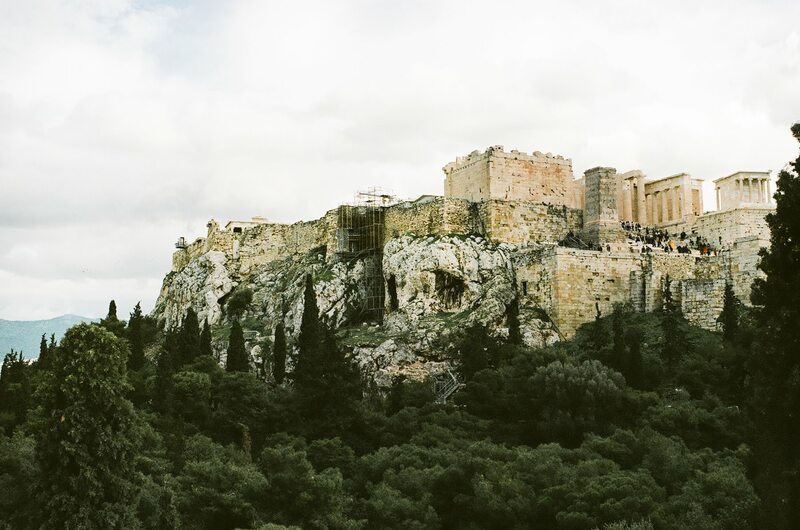 The outcrop sat in the shadow of the Acropolis and offered a panoramic view of Athens. Turning slow circles, Easton and I took in the cyprus trees, the flat sea of downtown, and the ruins interspersed between cafes and markets. Speaking of looking again, you’ll have to look closely to find Humanitarian Initiative Bridges. 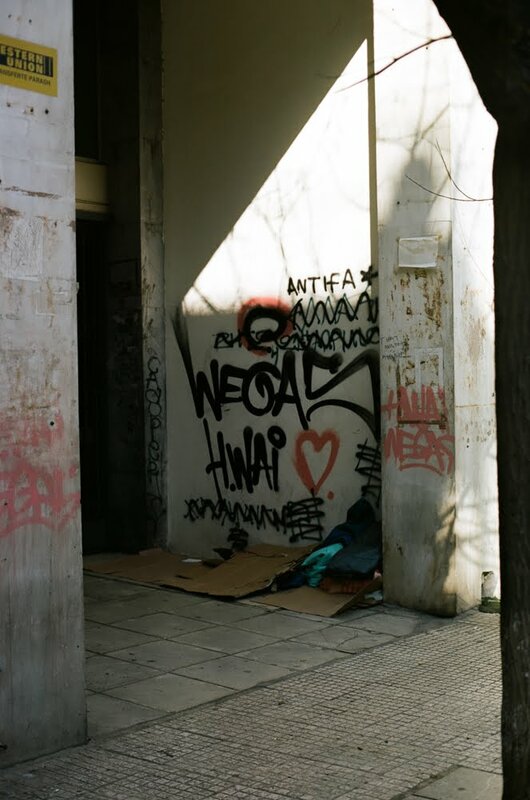 The organization’s headquarters, which is too grand a word for the building, is tucked near a plaza in Omonia, a rougher neighborhood of downtown Athens. 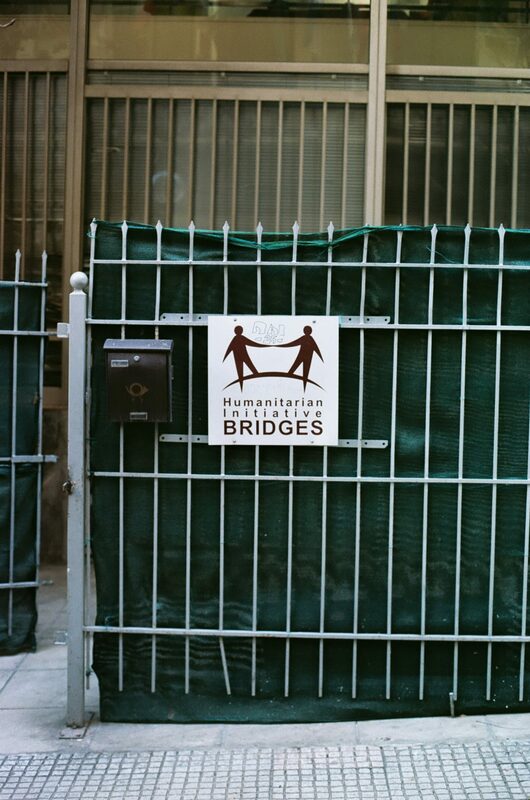 Bridges is a social services organization that helps Middle Eastern individuals, primarily from Syria, who arrive in Greece as asylum seekers. Bridges offers them asylum support, material resources, legal aid, and discipleship. Mostly, they offer them family. Once inside the Bridges building you’ll likely be greeted by Voula and Ilias Antouan, the founders. 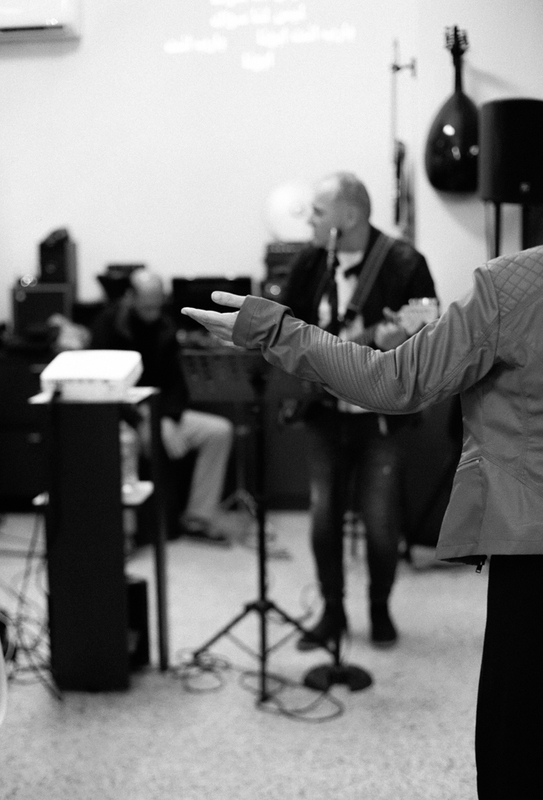 Ilias, looking like an aging rockstar in his leather jacket and skinny jeans, will grab both your hands in his and tell you what a blessing it is that you are there. Voula will usher you to whatever service you need: clothing, help with papers, counseling. You’ll be served Persian tea in a room where Kurdish, Arabic, English, and Greek words float through the air and kids chase each other in circles. I’ve never met anyone like Voula. She’s Greek, a social worker and therapist by training, and vibrates with energy. You get the sense that nothing will stop her in her fight to protect those who walk though Bridges’ doors—and woe to anyone who gets in her way. Voula spent the first two decades of her life searching “for freedom and truth,” a search that eventually led her to Christ. 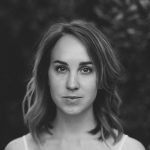 Today she runs the counseling and social support programs at Bridges and leads Bible studies both at Bridges and, when invited, at refugee camps. And Ilias—what can I tell you about Ilias? He’s the reason Bridges began, why they started serving Syrians in the first place. Syrian by birth, Ilias had long written off his country and people. The story of how he moved from hatred to love is a long one, and it’s one that only something like forgiveness could write. So quickly: back to Syria in the sixties, where Ilias was born to a Christian family. His family wasn’t devout, but their nominal Christianity set them apart in their majority-Muslim community. From childhood Ilias was ostracized for being a religious minority. He was the only Christian in his school and his classmates called him “kafir,” the Arabic word for a dirty person. During religious classes his teachers made him stand outside, even during the winter. One afternoon when Ilias was 15, he and some friends huddled around a fire made of benzene in a bucket. As they warmed themselves, another teenager passed by and began to mock Ilias. Ilias retorted and the conversation escalated. The teenager threw the bucket of flames onto Ilias, whose entire body caught fire. He was hospitalized for twenty days and bedridden for six months. The fire blinded him and for three months he saw nothing. Doctors gave up the idea that he might recover. Finally, a physician suggested an alternative treatment involving blood transfusions from imported plasma. As first Ilias saw shadows, and then gradually regained his vision. After months of treatment his eyes and burn wounds healed. The only evidence of the accident was the scars running up and down his legs and the three years of youth it cost him. After his recovery Ilias became an electrician. 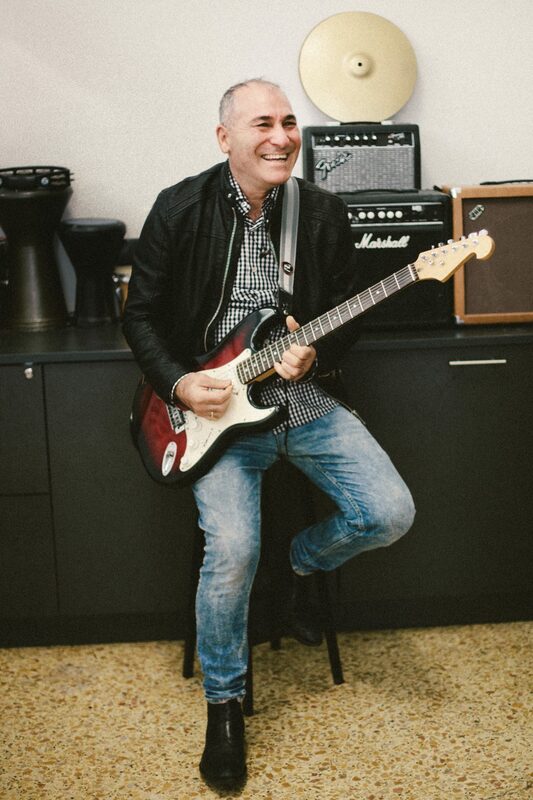 He started a band and played guitar. When he was 25, his parents died and he decided there was nothing left for him in Syria. He made plans to immigrate to Europe and bought a ticket to Greece, planning to continue on to France. He decided his last act in Syria would be one of revenge. Sign up for our newsletter to receive the latest stories and exclusive updates. In his hand he held a switchblade. 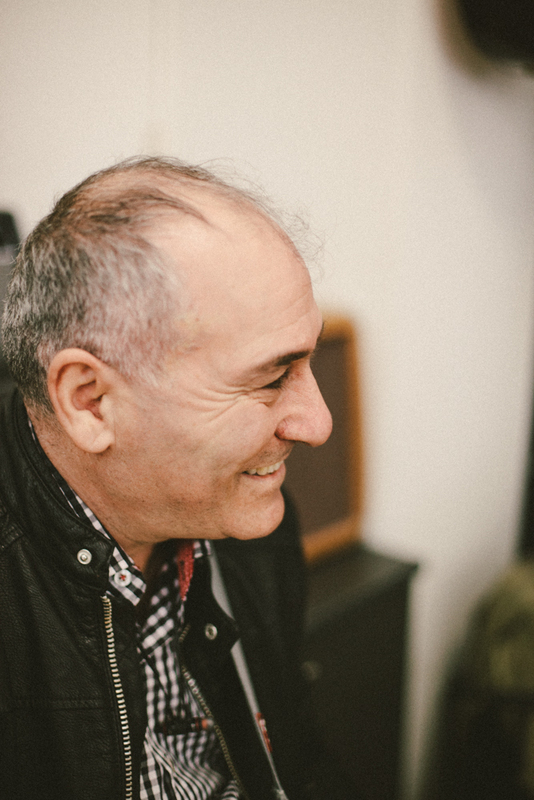 “At this time, I didn’t know God,” Ilias says. “And I felt that not finding this person, it was a lack of success. I felt like I had lost. He’s referring to Psalm 40, when David praises God for lifting him out of the slimy pit, out of the mud and mire. God rescues David from quicksand and sets his feet on a rock. Looking back on his failed attempt at revenge, Ilias sees God working a similar rescue for him. That night he walked away from the house of his enemy and out of his country, leaving Syria and its disappointments behind. He threw the knife to the ground as he went. Easton and I join the Bridges Bible study one afternoon during our week in Athens. We meet in the upper room of the Bridges building, sliding into a circle of chairs with twenty others. Around the room are families from Iran, Iraq, and Syria. Some have come from nearby camps and some now live in homes in the city. Voula is leading. She prepares for each session by studying the text in the original Greek, then translates it into modern Greek, then teaches in English. While she teaches, one interpreter translates to the group in Arabic. Another speaks quietly through a headset, transmitting Kurdish words into the the ears of families around the room. Heads nod belatedly as Voula’s words reach people in their own tongue. Some Bible studies and services at Bridges are conducted in as many as five languages, the words passing in the air and through headsets: English, Arabic, Sorani Kurdish, Farsi, Greek. On people’s laps, Bibles lie open to different alphabets. 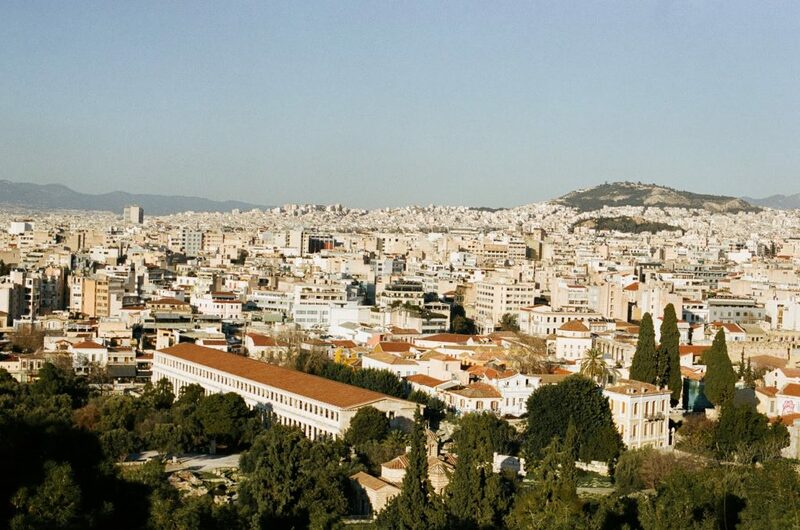 Many of the people in attendance met Christ through Voula and Ilias, either in camps or in Athens. Now they are learning Scripture and being discipled at Bridges. When they leave, they carry the good news back to neighbors and friends. Voula pauses as she teaches to answer questions and clarify translation hiccups. The two translators, young men named Shamal and Khaleel, arrived in Greece under refugee status. Now they help lead services, translate Bible studies, and interpret during appointments. Shamal plans to start a church elsewhere in Europe one day. The group has been studying the book of Acts for months. But on this particular day—the only time Easton and I will join them—they are reading Acts 17. This chapter has followed us throughout our week in Athens: first on Areopagus Hill, then during our stay at Damaris House (the house takes its name from Acts 17:34), and now here. There is something supernatural about sitting in this room with people who left faraway homes and landed here, in a tiny upstairs room in the middle of Athens, feeling and finding their way to God. I sense a charge to the air as Voula speaks. In other words, the flood of people from Muslim-majority countries into Europe marks an unprecedented opportunity for Middle-Easterners to hear the Gospel. Amidst the tragedy of displacement, God makes an opening. Amidst the suffering of fleeing home, people who come to Bridges meet the God who longs to welcome them home. 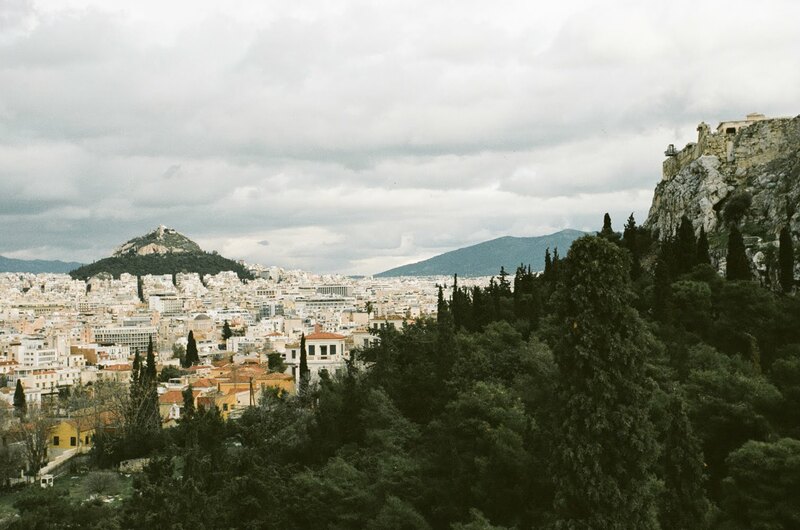 Ilias began to follow Jesus after arriving in Greece, first through a Muslim man who had met Christ and then through an Arabic-speaking church. Eventually he began attending a Greek church and met Voula. For years, even after the two were married, they didn’t have any Syrian friends. They didn’t teach their daughters to speak Arabic. Ilias wanted nothing to do with his country or its people. After seven years they traveled to Syria together for the first time. 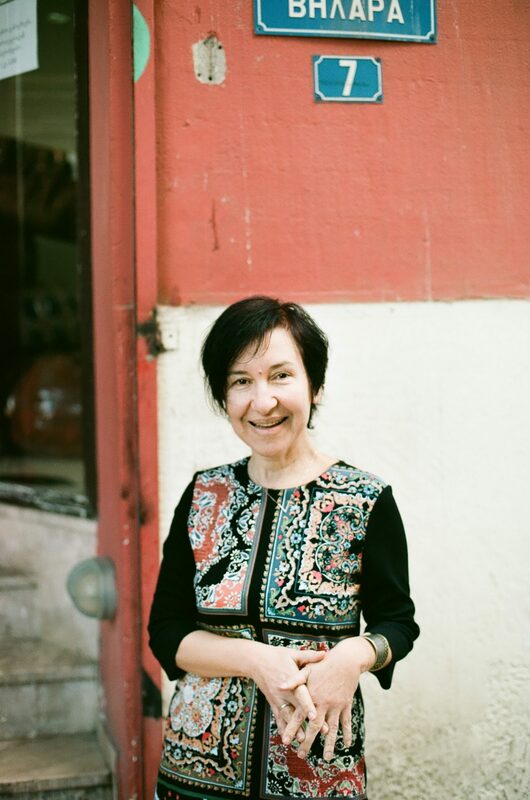 “For some reason I fell in love with the country,” Voula remembers. “I don’t know why, but I just loved it. I loved the smells, I loved the people.” Over the years Voula and Ilias returned several times with their daughters, but for Ilias, the memories of home were still painful. The scars on his legs were reminders of the trauma inflicted on him there. Then, in February of 2013, the couple felt God tugging them in a new direction. The Greek economy had collapsed and Ilias had recently secured a good job as an electrician in Qatar. Voula and her daughters were finalizing plans to join him there. “We felt that God was changing our way, we felt like God was calling us to give up what we were doing because multitudes of refugees would come [to Greece],” Voula says. Syrians began contacting Ilias. His phone rang continuously with calls from strangers. The ringing startled Voula and Ilias from sleep at two, three, four in the morning. On the other end, desperate voices spoke in Arabic, asking for help, asking for direction. Boats were sinking and they received calls from the sea in the dead of night. Ilias told the callers that Greece’s emergency number was 112, and to call that number if they needed help. But Syrians prefered the number of an unknown countryman over the government emergency number, and disembodied voices continued to reach them from boats and camps. Voula and Ilias began acting as mediators and liaisons, bridging the gap between people fleeing as refugees and the Greek system. How they found Ilias’s number, and how this number spread as a lifeline to incoming Syrians, is still a mystery to them. “Even now I ask this question,” says Voula. As near as they can figure, a Syrian man who they had helped in Athens posted Ilias’s number in a Facebook page for Syrian asylum seekers. But Bridges is built around people, not programs. Voula and Ilias began friendships the best way they knew how: with food and with music. Today Bridges continues to practice radical hospitality. This little organization tucked away in the Omonia neighborhood is magnetic. People travel to Bridges from camps, and in turn Voula and Ilias visit their friends in their caravans. Newly resettled families in Athens come for social services or just tea and conversation. In spite of—or rather, because of—its faith foundation, people of all backgrounds—Muslim, Christian, atheist—are drawn to Bridges. Voula sees two reasons for this. First, it’s the hospitality. Refugees are welcomed as family at Bridges, and Voula and Ilias and their team also visit them—in their homes, on the streets, or in camps. Regardless of their faith background, anyone who walks through Bridges’ doors is welcomed into community to share meals and receive services and pray together, if they want. The second reason, Voula says, is prayer. The staff prays for the people they serve, and people see that God responds in miraculous ways. Families return to Bridges and say, “Remember when you prayed for me? Well, God answered.” Many find, for the first time, a God who is intimately involved in their lives. Bridges seems, to me, the organizational embodiment of how Jesus treated people. He practiced radical, unconditional, no-strings-attached hospitality—marching into homes of the ostracized, sharing meals with the marginalized, befriending outcasts right and left. He healed and liberated and performed supernatural signs out of love for his people. But it didn’t end there; those who were healed were then invited to follow him and enter abundant life. The people Voula and Ilias befriend through Bridges are drawn inexorably to this Love they cannot explain, one that provides and heals and frees. One that compels different people groups to worship together. The beautiful thing about Bible study at Bridges, Voula points out, is not that Middle Easterners worship together in different languages. The beautiful thing is that people who used to hate and mistrust each other now love one another: Arabs and Kurds and Iranians, side by side. Transformed by Love, they return to their homes in the city and in camps and transform those around them. 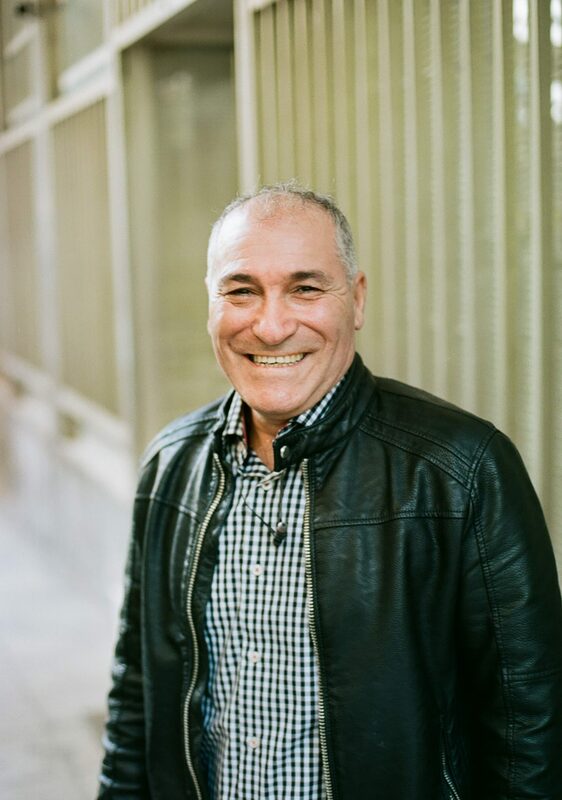 Bridges is a faith-based organization in the sense that Voula and Ilias love God and live a life of faith, and they love everyone who steps through their doors with Christ’s love. But Voula rejects the idea of proselytizing. “Proselytizing is this: I give you something—food, a tract—and you give me your religion. Proselytizing is transactional. It’s unethical. Jesus never did this. After the relational foundation is laid, doors open for Voula and Ilias to pray with and for their friends. After that comes discipleship, which is always organic and rooted in relationship. 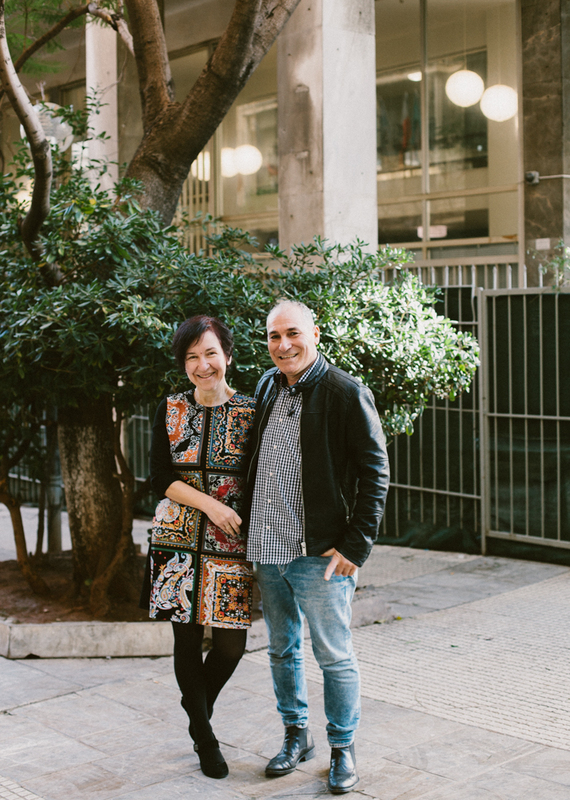 Voula and Ilias started leading Bible studies because their friends were curious about Christ and asked to learn more. They started visiting camps because their friends invited them into their homes to pray and study Scripture. Part of the work of discipleship is distinguishing religion from following Christ. 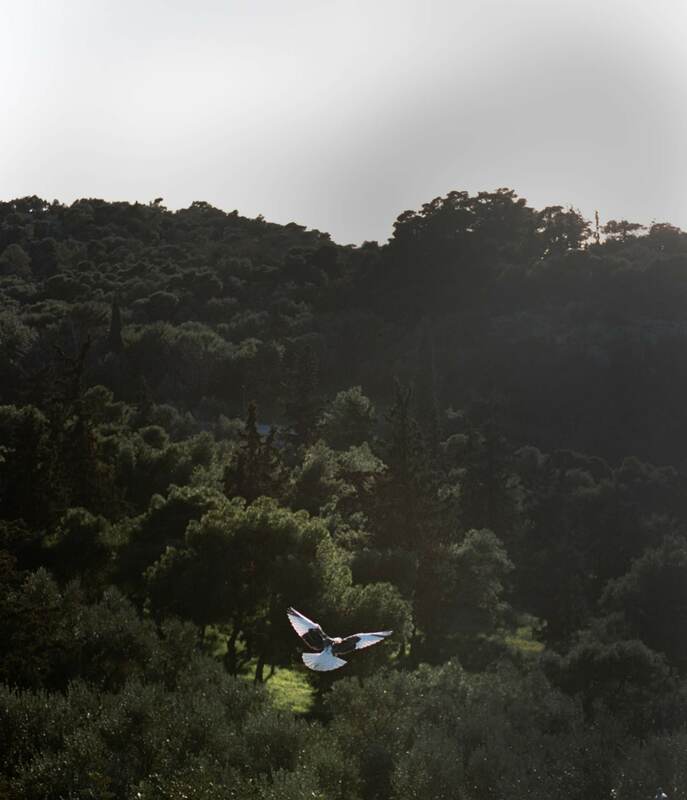 Following Christ, as Voula and Ilias remind their newly-Christian friends, is about your spirit waking from the dead, not a superficial change in religious affiliation. It’s not just about converting from one religion to another—it’s about inner transformation and freedom through the Gospel. “Europe claims we are a Christian continent, but we are not. We are a secular continent,” says Voula. “We make it very clear to them that it’s not only [about being] Christian by name. If you say that you are Christian, change your life. The problem is that baptism can be a positive mark on their asylum applications, a sign of integration into Greek society. Many people want papers from their baptism because they think it will assist their cases. This something deeper is exactly what Voula and Ilias want for their Middle Eastern friends. They don’t just show them Christ’s love; they also empower them to carry this love forward. “In the last verse of the last chapter of Matthew, when Jesus was leaving, he said: ‘As you go, make disciples.’ To pass the Gospel, to pass the truth of Christ, it is not the responsibility only of pastors but it’s the responsibility of everyone who believes in Jesus,” Voula says. “These Middle Eastern people are going to disciple others and then others, and so on. It’s going to take some time, but it’s getting there. Because they’re coming to us. We have to give them the first step, and we have to give them the right to speak. “As we read in Acts, it’s the time of sowing and sowing and sowing. I do believe that one day in the kingdom of God, we are going to see so many people who have heard the Word from here that we cannot imagine. I said earlier this wasn’t a story about refugees. That’s because the term refugee is not an identity; it’s a temporary condition. Shifting our language is key to shifting our thinking. If we continue to classify people as refugees, we fixate on a finite period of their life: the period during which they sought asylum. But they had an entire life before they left their country, and they will have a life after they receive residency. They will not always be a person in flight. The word “refugee,” she explains, is not a person’s identity—it’s a temporary status. When we change our language to accommodate this, people become more than that brief interlude in their lives. I came to Athens expecting to see refugees: stateless people living in limbo. This is, after all, the picture the world has seen for four years now. The media shows us people in tents and in life jackets. It shows anguish and fear and despair in camps like Moria where people would rather drink bleach than survive it. This is still a reality, but God is doing a new thing. We might be standing on the very rock we need to see, oblivious because we’re looking in the wrong direction. 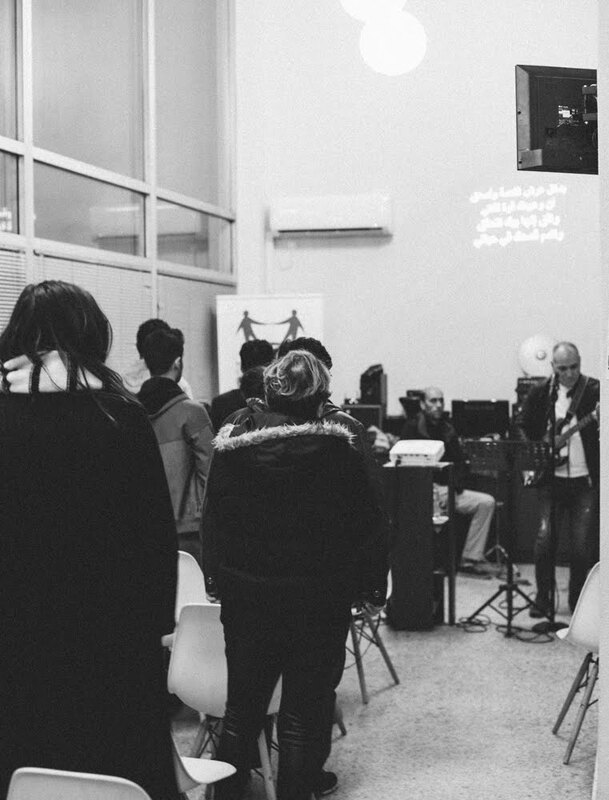 In Greece I met people who arrived in the country under refugee status, and this is what they looked like: They looked like families gathering at Bridges to worship and study God’s Word together. They looked like a Syrian lawyer living in a camp, wearing scuffed Dolce & Gabbana loafers and carrying a file folder with his neighbors’ names and stories, who spends his days advocating for their needs. They looked like Shamal, a young Iranian man who fled political persecution and is newly engaged, preparing to plant a church one day. “All of these people, they’re going to pass the flame,” Voula says. “We believe that there is such a hope upon these Middle Eastern people. I believe that the Europeans now, the same for Americans, they must turn to them for hope. This word is reaching people from the Middle East who have never heard it before. Now they carry this hope with them, one hundred thousand flames spreading across Greece, across Europe, lighting the way forward.